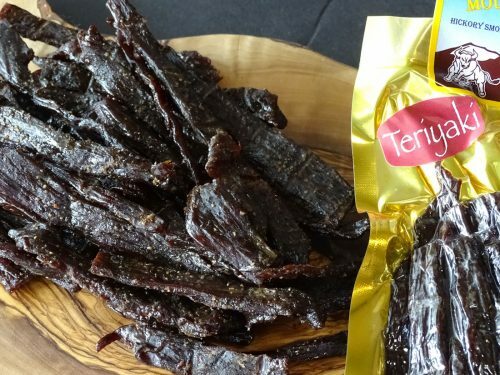 Who knew an Asian twist on beef jerky could be so delicious? 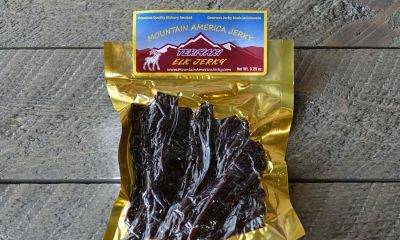 But all teriyaki beef jerky is not created equal. Unlike other teriyaki jerky varieties, ours is never syrupy or sticky. 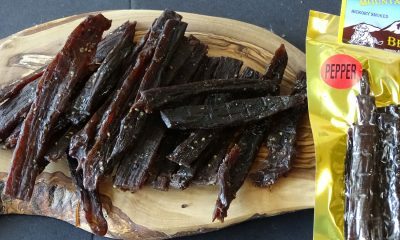 Thick-cut beef is marinated in a specially crafted teriyaki sauce, giving this jerky the perfect proportions of salty, spicy and sweet. Toss a bag in your backpack for an exceptional treat on your next fishing trip or hike. 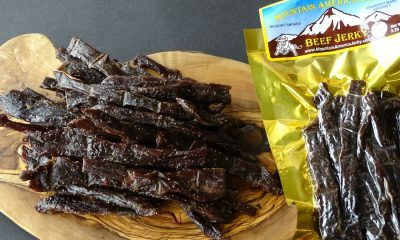 Our teriyaki beef jerky is made from small herd, locally sourced cows (no feed lot cattle) and is thick cut, marinated, and hickory smoked daily with no MSG, nitrates, or other fillers. Try some today and discover a new twist on an old favorite. 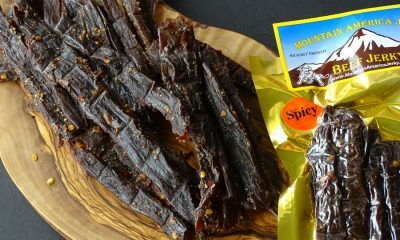 Purchase this jerky every year as a Christmas gift for a grandson who says ‘it is great’. This was some of the best beef jerky I’ve had. Flavor and texture were outstanding. Great job!